Rating: 5.9/10. From 48 votes. 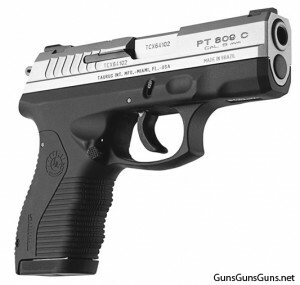 Summary: The description, specs, photos, pricing and user ratings for the Taurus 809 Compact pistol. 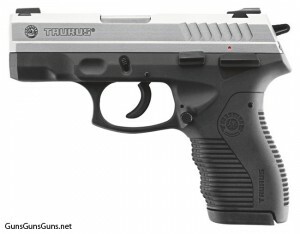 This entry was posted in .357 SIG, .40 SW, $501-$750, 9mm, Compact, Semiauto, Taurus on May 20, 2011 by Staff. I own one., love it. Awesome combat pistol. People who have had problems, read the owners manual . Clean before shooting. 600 rounds no problems. Glock 30-39 holster fits like it was made for it. The norm is inexpensive firearm,person new to the semiautomatic world, cheap ammo and factory packing lube. I’ll say no more.